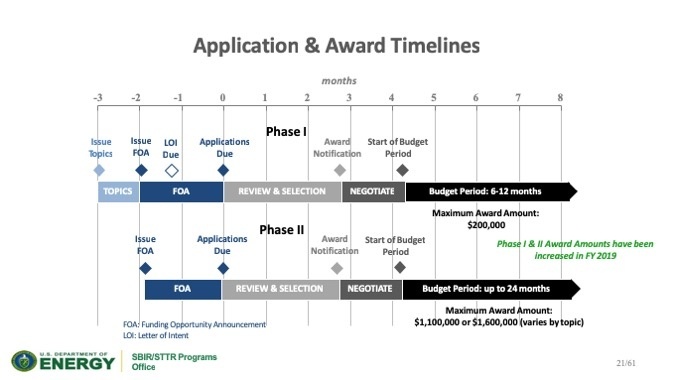 DOE SBIR/STTR Programs have a mandatory Letter of Intent (LOI) requirement—you must submit a Letter of Intent according to the FOA requirements to be eligible to submit a full application. Did you get your LOI in on time in PAMS? Your LOI was due January 7th at 5 pm Eastern. If you did, we would love to help you with your proposal. We are taking on DOE projects in preparation for the February 25th Deadline. The DOE SBIR/STTR Funding Opportunity Announcements (FOA) are listed on their Funding Opportunity Announcements (FOA) page. 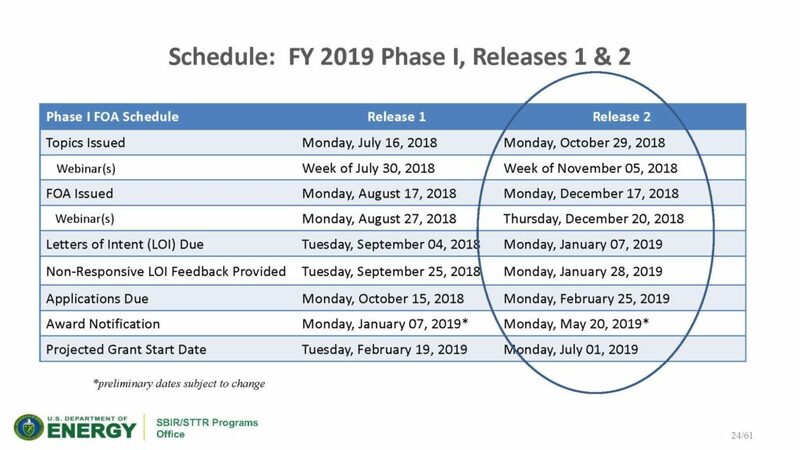 To learn about the technology areas with available DOE SBIR/STTR funding, view either the Topics documents or webinars in the Funding Opportunity Announcements FOA table.